Beach Villas at Destiny Condo ~ Stunning Gulf Views ~ Private Balcony! Property 51: Beach Villas at Destiny Condo ~ Stunning Gulf Views ~ Private Balcony! Property 56: Harbor sunset views! Canal front condo. Location and Amenities. Property 58: Palms Resort 11207 Jr 2BR/2BA ☀OPEN Apr 19 to 21 $648!☀TopFloor Views+FunPass! Property 61: Panoramic View-No Upstair Neighbor-Pristine End Unit-Steps To Beach-King Bed!!! Property 63: Now Booking 2019! 14th Floor Gulf Front Condo with AMAZING Views! Property 64: Condo #4101 Is Beautifully Remodeled and Overlooks the Canal! Property 65: Affordable VRBO Destin Favorite Has Everything! NICE! Very close to beach! Property 72: BEACHFRONT CONDO (14TH FLOOR) AND COMPLETELY RENOVATED FOR YOUR STAY!!! Property 73: Amazing 2 bedroom condo on the beach with beach service and full of amenities! Beautiful Gulf Views!! Golf and fishing included!!! Property 76: Beautiful Gulf Views!! Golf and fishing included!!! Property 85: ON THE BEACH - Completely renovated! 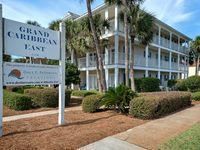 Property 86: Heart of Destin- Budget Friendly! Bright, cozy 1/1 condo w/balcony on the lake. Property 87: Beautiful Gulf Front Condo in Privately Gated Beachfront Community!! Only steps from beach! Property 91: Paradise at the Palms * Summer Specials! Book Now! 2 King Beds~2 Full Baths! Property 93: Just the place for you! Shoreline Towers 3026-3BR☀OPEN May 5 to 8 $923!☀Gulf Views! Steps2Beach! 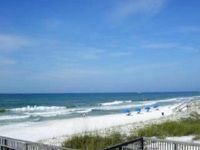 Property 95: Shoreline Towers 3026-3BR☀OPEN May 5 to 8 $923!☀Gulf Views! Steps2Beach! Property 96: RIGHT ON THE BEACH!! AWESOME VIEW!! Newly Updated Townhome - Steps From The Pool & Beach! Property 99: Newly Updated Townhome - Steps From The Pool & Beach! Property 100: Ocean view and Condo Less than 5 min walk to the beach and open fresh air!